If you live in North Hollywood or nearby Toluca Lake, Eye Candy Optometry and Eyewear has all of the eyewear options you need. We carry a full line of eyeglasses to suit your personal style and face shape. Whether you prefer a classic pair of frames or the latest designer frames, we have quality frames and lenses that will suit your preferences. If you are in the market for sunglasses, we have a number of styles and colors of lenses that are suitable for driving, sports, or for general wear. We also have every conceivable option for contact lenses, from gas permeable to soft lenses, or even toric lenses. Dr. Anthony Rabbani and his helpful staff know that the number of options can be overwhelming. However, he and his skilled staff are experienced with helping their patients choose the right eyewear option for their needs and preferences. 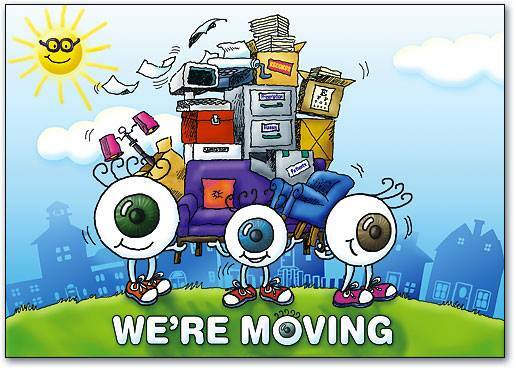 Dr. Rabbani is pleased to offer eye exams for residents of North Hollywood as well as it neighboring city, Toluca Lake. It is important to have a regular eye exam because Dr. Rabbani can detect eye problems such as glaucoma or cataracts before they become difficult to treat. In addition, during the exam he will not only help determine which prescription you require, but he will also help you decide on the right kind of eyewear or contact lenses for your needs. 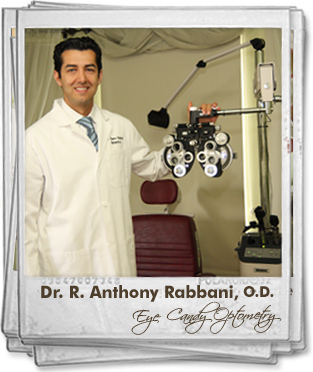 Dr. Rabbani is an experienced optometrist and a graduate of the New England School of Optometry in Boston. He has treated locals of North Hollywood and nearby Toluca Lake for years, providing them with expert eye exams, advice on eyewear, treatment for eye diseases, and even LASIK surgery. Dr. Rabbani and his efficient, helpful staff know that your vision is important to you, but you also want to look attractive while wearing your eyewear. The staff at Eye Candy Optometry and Eyewear are not satisfied until each patient has not only achieved the best vision possible. They will also help find a pair of eyeglasses, sunglasses, or contact lenses that make patients look and feel spectacular. Pink eye is one of the most dreaded conditions anyone can contract. Bacterial and viral pink eye are notoriously contagious, and all types of pink eye are uncomfortable and leave your eyes looking bloodshot. Even worse, if left untreated, some varieties of pink eye can cause long term damage to your vision. Dr. Rabbani and his staff are experienced with the careful and fast treatment of pink eye. They provide fast appointments to residents of North Hollywood and Toluca Lake, so you can get back to looking and feeling your best as soon as possible.